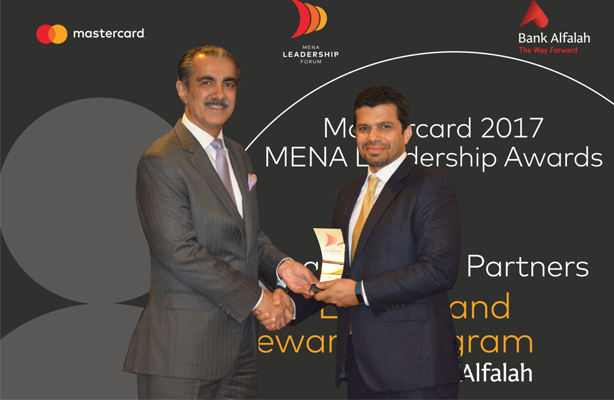 Pakistan’s top-most banking setup, Bank Alfalah has earned the ‘Best Loyalty and Rewards Program Award’ against its Orbit Rewards at 2017 Mastercard MENA Leadership Forum in London, UK. Held by Mastercard, the foremost technology company in the industry of global payments, the Forum invited top executives from different banks of the region, to highlight the future of industry of payments and rejoice the success of monetary organizations in making the most of reach of Mastercard’s solutions and events amongst their clients. “We are delighted that Alfalah Orbit Rewards has been recognized at this prestigious forum. As a first of its kind rewards program in Pakistan, Alfalah Orbit Rewards is a unique offering that allows customers to earn points on their entire banking relationship while also providing unparalleled and innovative redemption options. We strongly believe that a loyal customer base is the bank’s greatest asset and we continue to expand our efforts to bring them the best and innovative banking solutions and services. The program is a testament of our resolve to develop and deliver customer-centric solutions that firmly positions Bank Alfalah as the bank of choice for its customers,” stated Mehreen Ahmed, Group Head Retail South & New Initiatives, Bank Alfalah. “We congratulate Bank Alfalah on winning the Best Loyalty and Rewards Program award at the Mastercard MENA Leadership Forum and applaud the efforts of the team in successfully implementing their unique solutions in their respective markets. As a whole, the region offers tremendous potential for the development of a highly innovative payments and financial sector and we are pleased to see the efforts of our partners in developing products that offer customers the highest level of convenience and safety and security, while also strengthening Mastercard’s reach to a wider consumer base,” mentioned Khalid Elgibali, Division President, MENA, Mastercard. Including a whole agenda of sessions by industry run by senior executives of Mastercard, the medium gathered over 60 attendees from Middle East and North Africa region. Bank Alfalah has been enabling innovation to endorse digital and financial inclusion in the country. The bank, being the topmost in financial change in the banking industry has been imitating relationships with businesses and services sector to bring about a greater convenience and power. The concentrated efforts to bring greater presence and authorization to people have raised BAFL to the rank of the most preferred bank in Pakistan.